Wow how time flies!! It feels like just yesterday I was on the East Coast for my early summer tour and now this week is already Thanksgiving! We have so much to be Thankful for and you are one of them, so thank you so much! My new 2013 Holiday Cards are now available! This year we tried something different also because we have received so many requests in the past for matted prints of the holiday images, we now have them all available in all 3 sizes! 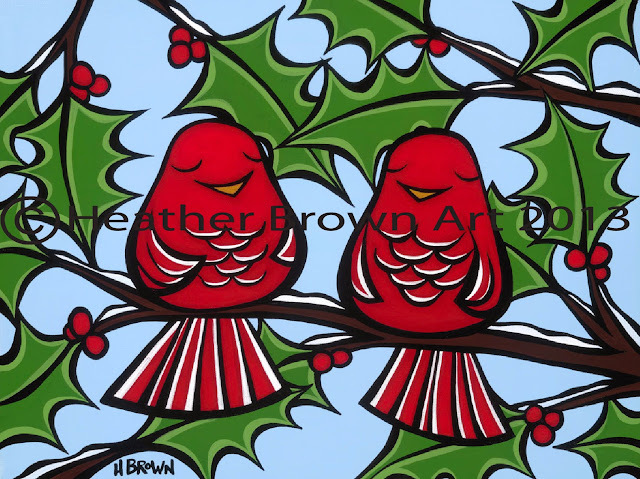 The image that I made for this year is "Holiday Birds"
"Holiday Birds" is also available as a greeting card and in an assorted box set of holiday greeting cards. Clicking on the picture below will take you to the greeting cards. 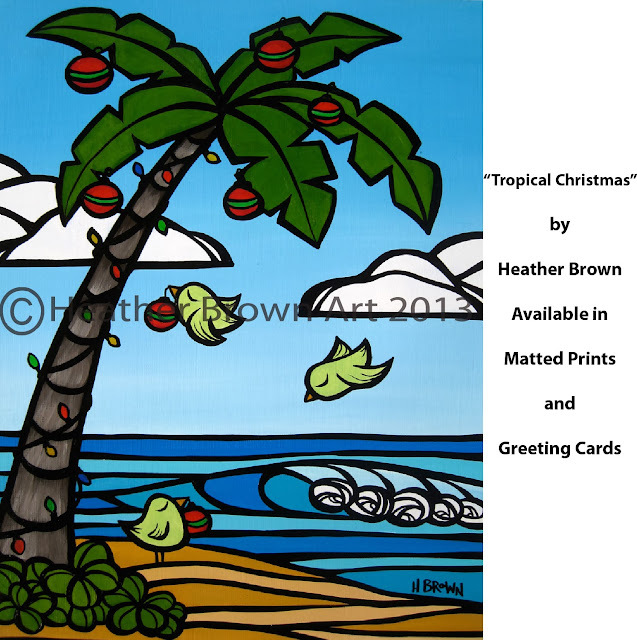 "Tropical Christmas" is also available as a greeting card and in an assorted box set of holiday greeting cards. Clicking on the picture below will take you to the greeting cards. And an Oldie but a goodie, this year we brought back "Peace Bird" which was the first ever Holiday card that I made and it was originally made for Jack Johnson and his family for their Holiday Cards. 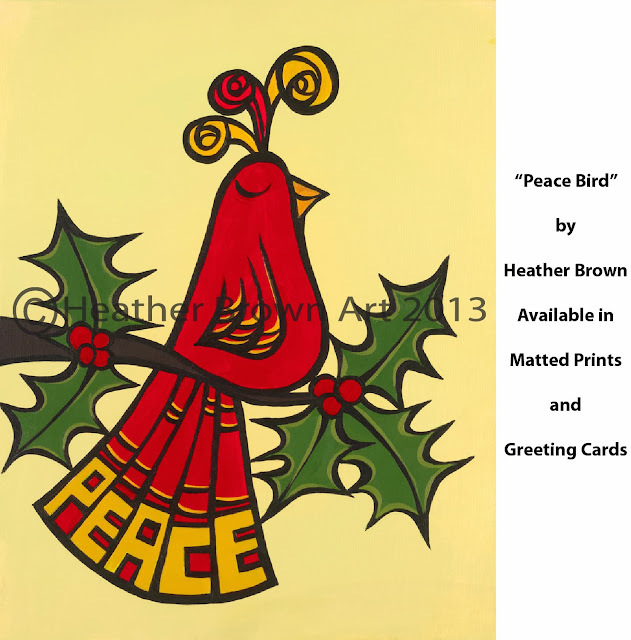 "Peace Bird" is also available as a greeting card and in an assorted box set of holiday greeting cards. Clicking on the picture below will take you to the greeting cards.